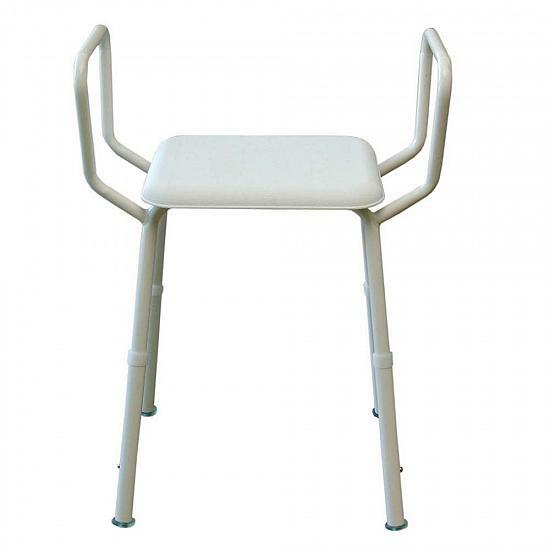 The KA222ZA is a zinc treated mild steel shower stool with an adjustable height range of 490mm to 610mm. Maximum user weight of 110kg. This model has arm rests to provide additional support. It is height adjustable and angle adjustable.